Almost everyone who has experienced a good massage falls in love with the hands that are caressing them, making them feel good. In fact it’s become my favourite addiction but it’s a healthy one to have. From the time of being a baby we all have a natural longing to be touched and caressed. Massage doesn’t just feel good it’s very beneficial for your health. It increases blood circulation, helps eliminate toxins, relieves aches and pains. Pressure point massage balances the energies (yin and yang) to restore health. Stretches used in many massages bring more flexibility. Therapeutic massage can help you recover from an injury. Your skin is the body’s largest organ so the essential oils in the massage oils are also therapeutic to alter your mood - lavender for relaxing, ylang ylang and jasmine are an aphrodisiac and citrus is uplifting to name a few plus the base oil of the massage oil moisturizes the skin. Now that you know why massage is good for you here are some great places to enjoy where you’re sure to have a fabulous massage. All of the therapists are well trained, the spas are clean and hygienic and they use good quality products. The prices range between 130.000 to 450.000 Rp. How does it get any better than that? New in Bali and the first proper day spa in Canggu is Therapy, located at Echo beach. They’ve only been open for a few months but have already attained good ratings on Bali Travel Advisor. The spa is simplistic but chic in shades of grey and orange. I was pleasantly surprised by their signature massage The Ultimate Euphoria 90 minute massage, which included some delights I’ve never experienced before. Firstly a small bowl of water sat below the face cradle to watch the solo Siamese fighting fish swim around. A nice change from the standard flowers in the bowl. Then a heating pad was laid over my back to relax the muscles as the therapist worked on my legs. That was delightful and very clever. By the time he got around to massaging my back the muscles were already relaxed and ready to be worked on deeply without pain. When I turned over a second heating pad was wrapped around my neck. Ooh that really felt good. Even the finale was unique as he wrapped the sheets tightly around my legs in a cocoon, then lifted my feet and stretched my body from side to side. This is bliss! Check out their other great massages. www.therapy.co.id Tel: 0361-2032929. In Sanur go to Cosmo Salon and Spa, now with 2 locations both on Jl. Tamblingan. They are massage specialists, with highly skilled therapists. The old Cosmo has just been completely renovated and looks stylish now with additional services added to their menu. They have seven massages to choose from but I selected the popular 70 minute Cosmo Fusion massage, which is sublime. This is a combination of traditional Swedish deep tissue massage with Shiatsu pressure points added. It’s a great way to unwind and ease all tension from your body. Other choices are: Thai, Shiatsu, Bali, Deep tissue, Cosmo Signature and Thai Foot Reflexology. I’ve tried a few here and all of them were excellent. 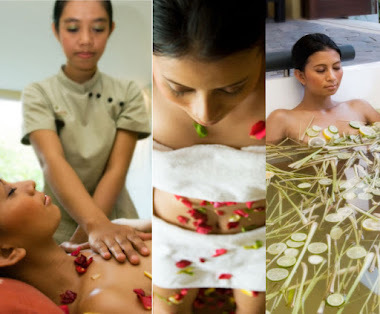 www.cosmobali.com Tel: 0361-286330. Good prices include tax, service and a drink. 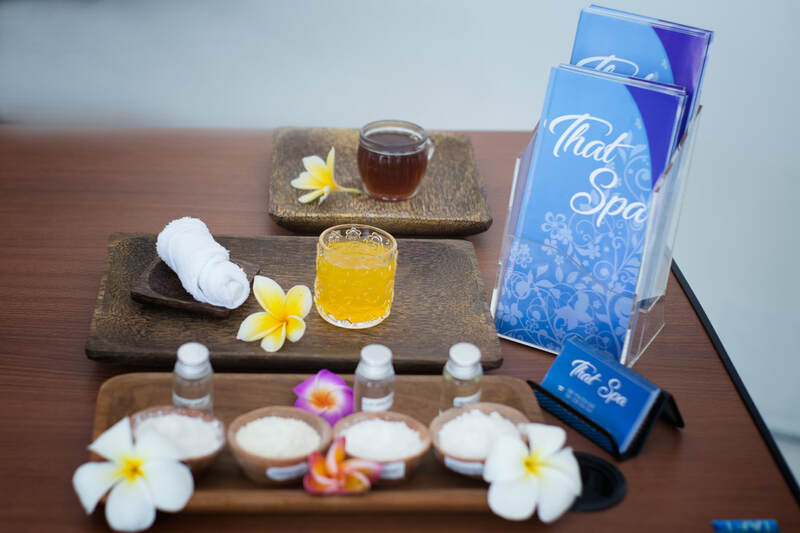 A spacious classic spa in Seminyak is Espace located on Jl. Raya Seminak no. 3B. They are well known for the fine art of massage and body treatments. You are assured to enjoy an expert massage here. 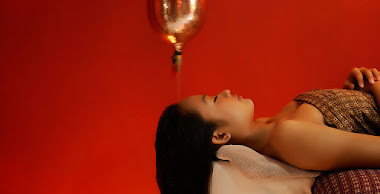 I chose the signature 90 minute Traditional Oriental massage, which is a blend of techniques combining long strokes, deep tissue on muscles and joints with great stretching and Shiatsu pressure points. I was so relaxed afterwards I needed to sit down for a few minutes before leaving. Other selections are Tension relief, which focuses on the neck, shoulder and back area to relieve stress. The Four Hands massage is also the best I’ve tried. Warm stones ensure a deeper relaxation. www.espacespabali.com Tel: 0361-730828. Bali’s favorite massage is at Jari Menari (dancing fingers) located in Nusa Dua. They only do massage and are great at it. All of the expertly trained therapists are men who use long flowing strokes to encourage you to feel the connection between your breath, mind and body in each of their massages. I tried the divine 90 minute Connoisseurs massage which includes slow yoga type of stretches. Absolute bliss. One of their specialties is children’s massage, giving them a 45 minute experience they will love. The huge spa has 16 spacious rooms in Nusa Dua with 2 that can allow for 4 massage beds to be in the same room providing a memorable family experience. Offering seven different massages, it’s hard to choose. You can also learn massage skills in an introductory class of massage every Thursday. www.jarimenarinusadua.com. Tel: 0361-778084. Set on the side of a ravine with a flowing river is the stunning Taksu on Jl. Goutama Selatan, in the heart of Ubud. Beautiful small treatment villas are set amongst the jungle with a lovely painted palanquin of a lotus pond dominating the inner walls. The rooms are decorated with stone and modern conveniences. Taksu has several massages to choose from but I selected the 90 minute Esalen, which originated in California. This massage is famous for its long gliding strokes from the feet to the neck with yoga type of stretches. Poppy my therapist used her breath to connect with mine and had me in a state of sublime relaxation. Taksu is also a healing haven with yoga classes and special events. www.Taksuspa.com Tel: 0361-971490. Others spa and massage available in Kuta, Sanur, Jimbaran, Nusa Dua & Seminyak Area. Now you know some wonderful places to get great massages for good prices. Enjoy! contact me for an upcoming story.